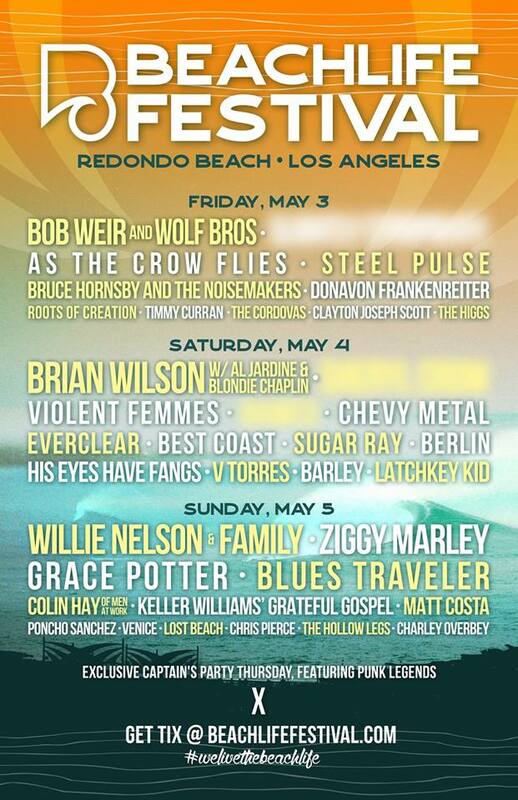 The Surfrider Foundation is excited to be an official beneficiary and partner of the Beach Life Festival - Friday May 3 - Sunday May 5, 2019 - the first coastal festival ever to be held in Los Angeles on the Pacific Ocean. We will be exhibiting alongside our friends at 5 Gyres to educate and engage with festival goers and have been working with festival organizers on sustainability initiatives to reduce the festival's overall footprint. After the festival, we're cohosting a beach cleanup with Beach Life Festival just south of Redondo Beach Pier to continue to give back to the community, the coastline and to leave the environment cleaner than we found it. Skip plastic cups and opt for reusable where available. Say NO to straws in any beverages - iced coffee, tea, cocktails, etc. Avoid styrofoam and single use plastic take-out containers. Consider bicycling, walking, carpooling or taking mass transit. Pack snacks and food in resuable containers and use on-site lockers to store what you don't want to cart around. Use your mobile apps for tickets and skip printed paper tickets. Choose sustainable menu options when eating out like local, vegetarian or vegan.